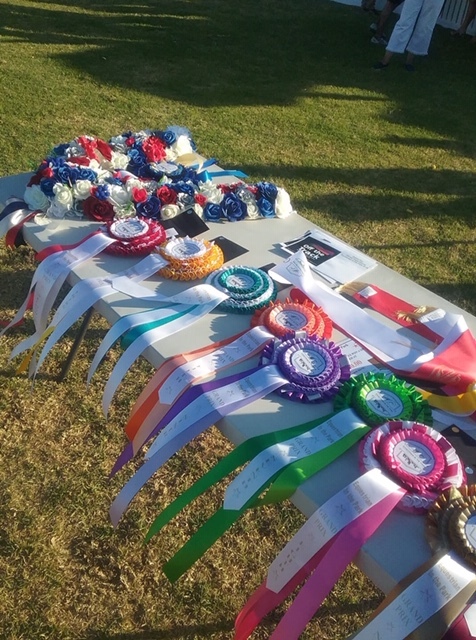 Winning at Eventing in the Park! What an amazing week in Perth, Western Australia. Mark's hosts have all been such fun, the sun has shone and the people have been just fabulous. The beginning of the week saw Mark teaching a clinic which was a great opportunity for the WA riders to get up close and personal with a true legend and the day was a huge success. Eventing in the Park is something that has grown over the last few years into a real destination event and this year it was Sam Griffiths who also appreared with Mark. The highlight of the day is the Eventing Grand Prix which is a mixture of showjumping and eventing and with Mark last to go the pressure was on. Riding Katherine Joyce's TB The Diamond Thief Mark conjured a pretty special perfomance for a hugely popular win and it was an estactic crowd who really felt they had got their money's worth! The video of Mark's round is on the Mark Todd Eventing Facbook page... his round starts at 10.48.